The EcoBoost family hit the gym! Ford has announced horsepower and torque figures for its refreshed 2018 F-150 pickup and the all-new 2018 Expedition. 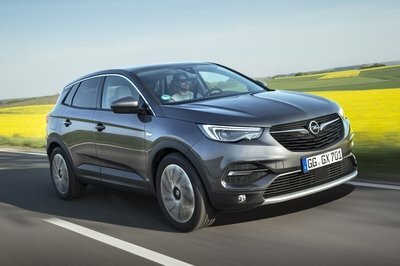 Both vehicles have undergone major updates, including new styling and attractive technology features. But the biggest news resides under the hoods. 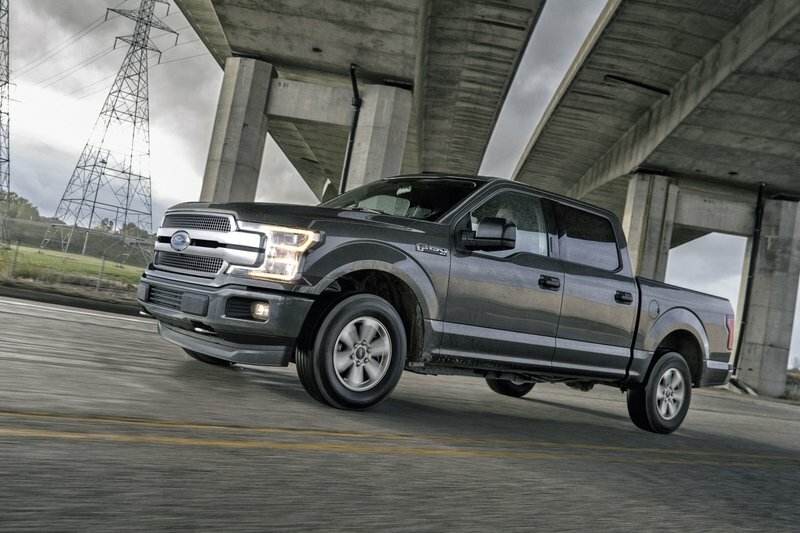 The F-150 receives a new base V-6 engine that makes more power than the outgoing engine. Updates to the 2.7-liter EcoBoost V-6 and 5.0-liter V-8 include more power and Ford’s new 10-speed automatic transmission. Platinum trimmed Expeditions take the cake with a higher-output 3.5-liter EcoBoost V-6 with 400 horsepower! 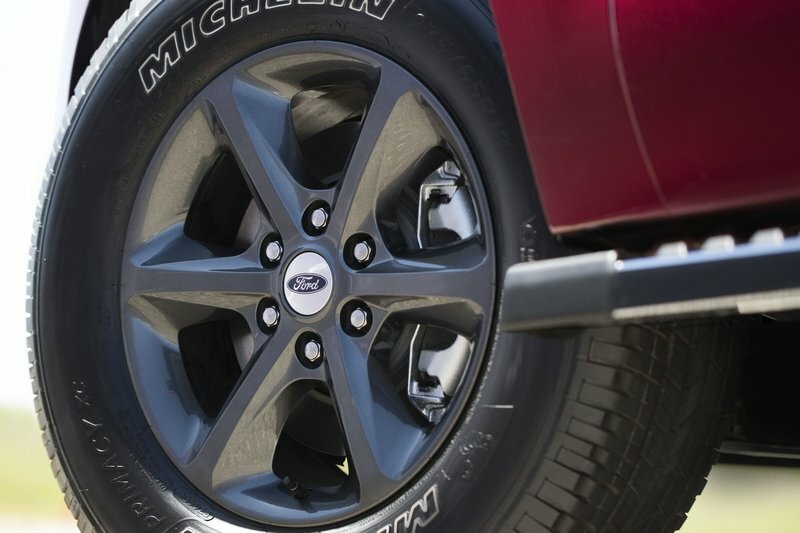 The F-150’s new base V-6 now displaces 3.3 liters. Despite it being slightly smaller than the outgoing 3.5-liter V-6, the new engine features direct fuel injection and other advancements that give eight more horsepower and 12 more pound-feet of torque to the naturally aspirated engine. 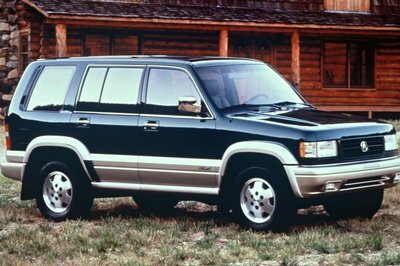 The result is 290 horsepower and 265 pound-feet of torque. Big torque improvements for the 2.7-liter EcoBoost V-6 mean it now makes 400 pound-feet – 25 more than last year. Horsepower remains at 325. Ford hasn’t forgotten about the venerable 5.0-liter V-8, either. It’s now fed through direct and port fuel injection, while the cylinder get an anti-friction coating. Power is up 10 horses to 395 and torque increases by 13 pound-feet to 400, matching the 2.7-liter EcoBoost. 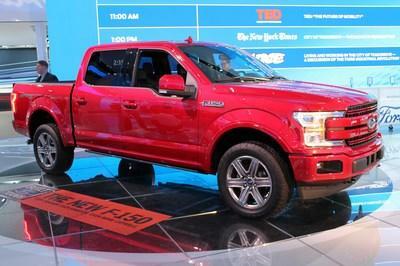 Ford’s strategy of reduced mass and increased power started with the 2015 F-150 and its aluminum body panels. 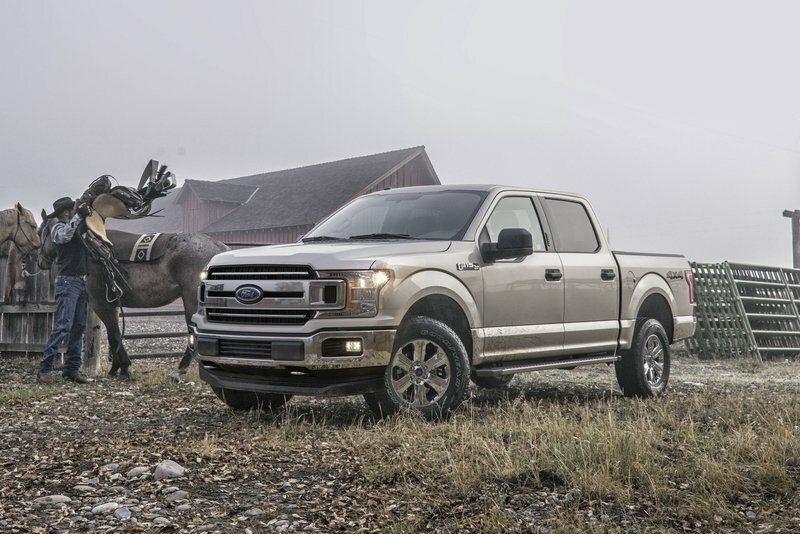 The gamble has paid off for Ford, with F-Series sales continuing to outpace every vehicle in North America, a decades-old trend. 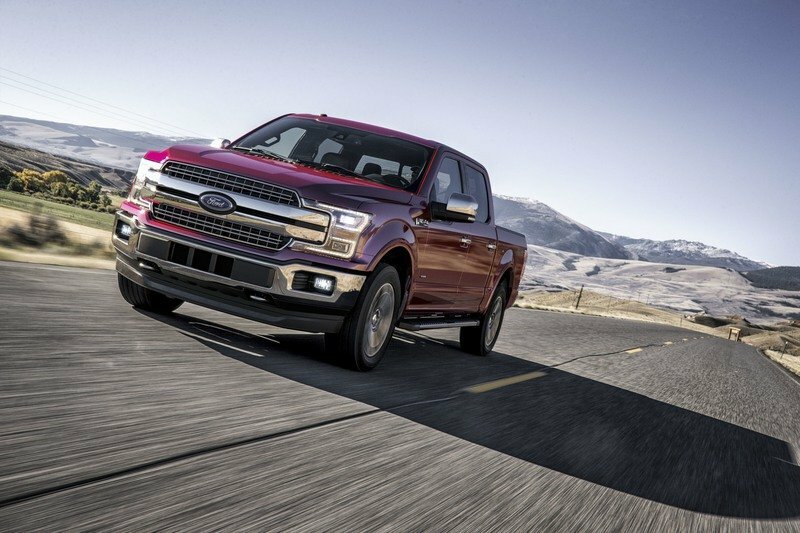 In fact, Ford sold roughly 820,000 F-Series trucks (which includes the F-150 and Super Duty models) in 2016 – twice as many than Toyota sold of its most popular model, the Camry sedan. The F-150’s mid-cycle refresh for 2018 brings a new front fascia and rear end styling. While the interior isn’t changing, the drivetrain updates should be more than enough to keep customers happy. Ford is also introducing a 3.0-liter Power Stroke V-6 turbodiesel in the F-150. This marks a first for the F-150, but follows Ram’s entry into the light-duty turbodiesel market with the 3.0-liter EcoDiesel V-6 in the Ram 1500 back in 2014. Ford is still coy on details regarding power, towing capacity, and fuel economy for the new Power Stroke, however. 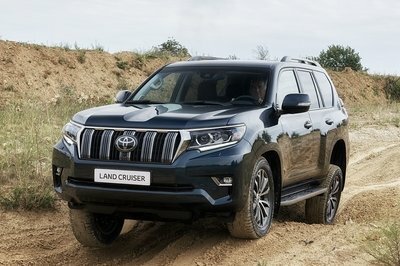 Expect that information closer to the turbodiesel’s introduction in the spring of 2018. 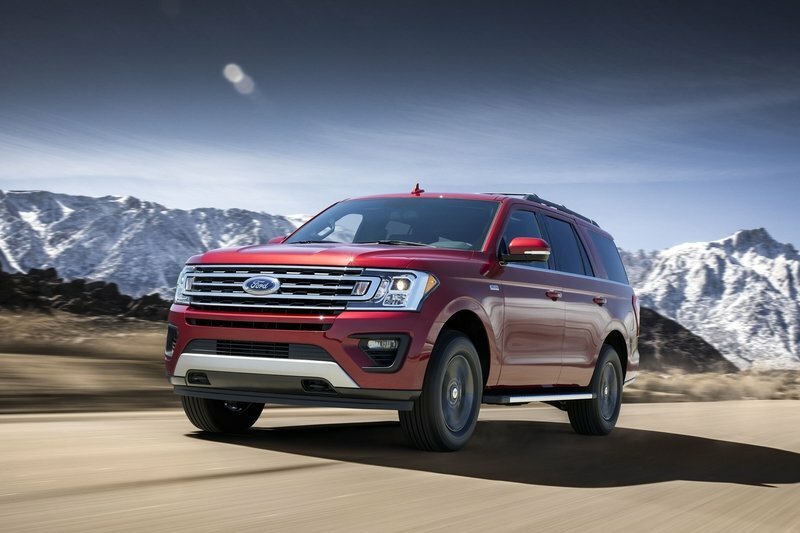 The 2018 Ford Expedition received far more than a mild update; the three-row SUV is completely new, including its high-strength steel frame and aluminum body panels – both of which are derived from the F-150’s. Like the outgoing Expedition, the 2018 is solely powered by the 3.5-liter EcoBoost V-6. The engine now makes 10 more horsepower and 35 more pound-feet of torque than before, totaling 375 horses and 470 pound-feet. Customers who buy the range-topping Platinum trim will have the same EcoBoost V-6, but will enjoy upgraded power levels of 400 horsepower and 480 pound-feet of torque. Both EcoBoost versions come with a Stop/Start feature to improve economy. 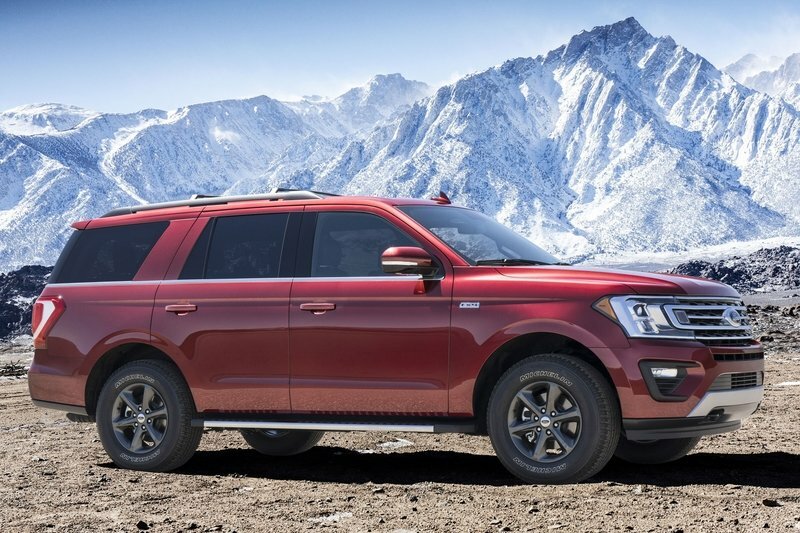 The 2018 Expedition also utilizes Ford’s 10-speed automatic transmission. A new FX4 Off-Road package is now available on XLT-trimmed 2018 Expeditions, too. 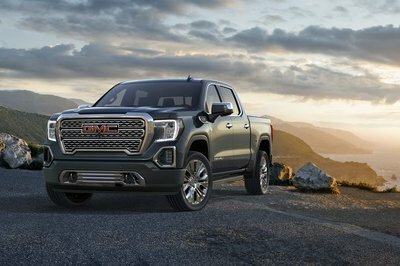 This option pack adds an electronic limited-slip rear differential, upgraded shock absorbers, all-terrain tires on FX4-spec 18-inch aluminum wheels, and a total of seven skid plates protecting the undercarriage. Included also is Ford’s Terrain Management System with seven drive modes. 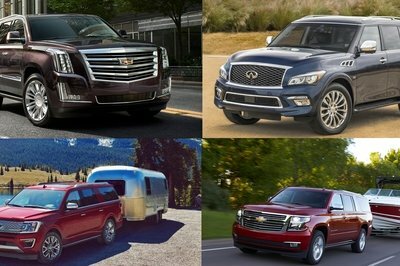 These are normal, sport, tow/haul, eco, grass/grave/snow, sand, and mud/rut. 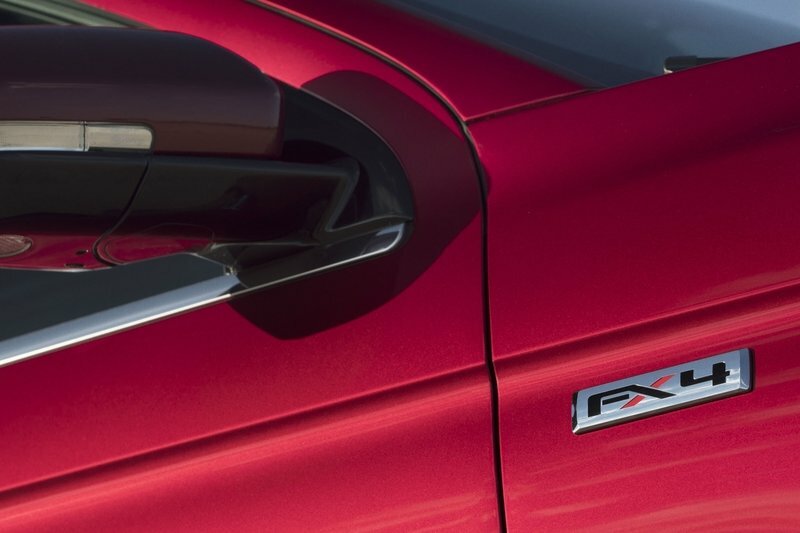 Fleet and government agencies can order the FX4 package on the XL trim package, as well.